A concrete grinder, also commonly known as a diamond grinder, serves multiple purposes in construction. From grinding concrete floors to marble or granite bench tops – the right type of grinding machine will make your job easy. Concrete grinding machines use rotating heads to smooth and level surfaces. Depending on the model you choose they can also grind off glue and other floor adhesives after removing flooring like tiles. It all depends on the grinding attachments you use with your machine. The best model for you will depend on your main trade, there are plenty of options to choose from. We stock a wide range of floor grinders from the most popular models for professional floor finishing companies, to models suited for tradies or builders looking to take their business to the next level. There are a number of Grinding Machine types, and we will go over a few of these below. The most popular type of concrete grinding machine is a floor grinding machine. Floor grinders come in a number of sizes from single grinding heads, to larger machines with multiple grinding heads. The bigger the machine, the faster you’ll cover the ground. These have handles and you stand upright and push the machine along your concrete surface. This makes floor grinders the perfect floor polishing machine for large floor areas. All floor grinders use abrasive attachments to grind away at the surface. This is either a silicone carbide / tungsten carbide attachment, or a diamond attachment. Diamond grinding machines are more common than the silicon carbide grinding machines. Floor grinders are best for grinding depths or uneven joints of between 1 to 3mm. They are also good at removing sealers, paints and adhesives. Diamond Floor Grinders are very versatile through the different attachments they can use. Similar to sandpaper, the diamond grinding attachments come with different grits. To end up with a highly polished surface, the grinding process starts off with the courser grits to get rid of any peaks and valleys of a concrete surface. This also exposes the aggregates within the concrete as they are a beautiful feature of a polished concrete floor. Then comes then comes the ‘honing’ and ‘polishing’ of the concrete slab. This is where progressively finer grits of diamond grinding attachments are used until the desired polish is achieved. Lastly a chemical lacquer or sealant is applied. Depending which is used, this can be for either for concrete densifying, coloring and sealing, or the application of a polishing guard. You can see more of these products here. A scarifier is AGGRESSIVE. It’s a surface preparation machine that cuts rather than grinds. As a result it leaves a rough finish. Instead of using rotating diamond attachments, it has a rotating drum. This drum has cutters made of tungsten carbide or hardened steel. A concrete scarifyer planes down the surface of the concrete. Generally, if you want to remove more than 3mm of concrete from the ground a scarifier will get you the fastest results. This will not only save you time, but you will also spend less on grinding attachments. – where a footpath slab has warped causing a trip hazard. Not only is it a fast fix, but leaves a rough non-slippery finish. – a concrete slab for livestock. A scarifyer is perfect for roughing up the slab ensuring it doesn’t get slippery when wet. A concrete burnishing machine is focused on shining the top layer of concrete. It doesn’t actually do any real grinding but is focussed on just the top surface. Even when a concrete burnishing pad with diamond particles is used, a burnisher doesn’t aim to reduce peaks or valleys in the slab. A concrete burnisher is great for achieving a quick polish on an already smooth concrete floor. A concrete burnisher operates at an extremely high RPM (usually between 1500RPM to 2500RPM). Typically concrete burnishing machines operate so fast that they generate heat. This melts your floor coating compound into the pores of a concrete surface and then buffs the surface to a fine, smooth finish. In the maintenance industry, the floor coating compound of choice is typically a form of a wax-based product. In the polishing industry the chemical is a densifier product. A concrete guard product can also then be added for additional shine and stain protection. For smaller or intricate jobs high powered hand-held concrete angle grinders are perfect. They are the perfect tool if you’re looking to do more intricate work, or grinding and polishing of a surface like a memorial which is not a flat slab. They are similar to a standard angle grinder, but have more power to cope with the extra work and dust involved. What to Consider When Purchasing a Concrete Grinder for Sale. If you’re purchasing a floor grinder for the first time it’s easy to get a little confused by the specifications. So, we’ve put together a list of top things to consider when looking for the best concrete floor sander for your business. – What finish are you trying to achieve? – Size, material and depth of the surface you are grinding. – The voltage and the variable speeds of grinder. Lower voltage concrete grinders are generally more compact and easier to operate. Yet, if you’ll be covering significant surface areas, you might want to consider a model which allows you to complete the job the fastest. Not every model is suited to both wet and dry applications. The more versatile models such as the ASL P7 A550 Planetary Grinder may initially cost more than the lower end models. But the higher initial investment will ensure you get a perfect result with a high shine finish, whatever project you’re working on. If you’re going to be grinding concrete, you’ll need to consider the amount of dust which you will generate. Concrete dust is dangerous and can cause lung disease if you breath it in. So it is best practice to make sure you have dust minimisation and protection in place. – When using a concrete floor grinder, pair it with a Dust Seperator and a vacuum cleaner. A Dust Seperator saves you time by collecting the dust before it clogs up your vacuum cleaner filter. A vaccum cleaner (especially one with a HEPA filter) is the best thing you can use to protect yourself especially if you are in the floor grinding industry. 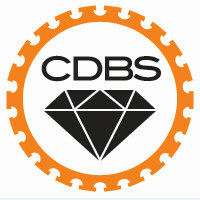 At Canberra Diamond Blade Suppliers we specialise in cutting, drilling and grinding. So not only do we have a great range of concrete grinding machines for sale, we have scarifier for sale and burnishing machines for sale. To accompany this, we have a large range of diamond grinding discs / cup wheels, diamond shoes and silicone carbide wedge blocks, and burnishing pads to suit machines of many makes and models. We have our most popular grinding attachments online. But just give us a call on 02 62428996, if what you’re looking for is not there as we probably have it in store.